﻿ What can we expect from Ronaldo this season? 09.09.2016 » What can we expect from Ronaldo this season? The football club season has already started a few weeks ago, but due to this World Cup injury, Cristiano Ronaldo is only going to play his first game this weekend, against Osasuna. At the age of 31, can we still expect Ronaldo to play and score goals in the same way he has done in previous years? For a few years now, every season we question ourselves if Ronaldo has already reached his peak and if he's going to slow down from now on. No matter how good you are, sooner or later age will catch up and it's going to be inevitable to see that impacting one's performance on the pitch. 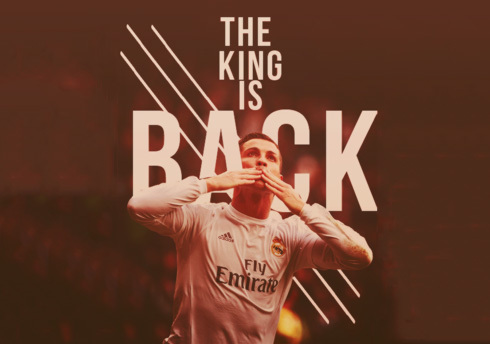 It's not going to be any different with Ronaldo in Real Madrid, Messi in Barcelona or any other top footballer. It's always been like that in the past and it will always be in the future. As these players get older, we just can't help to think if this is the year they'll start slowing down. Is this the year Ronaldo won't be able to keep up with his own standards set over the years? You can also check several betting infographics on your own and see how bookmakers are currently rating Ronaldo's chances of becoming the league's top scorer and eventually repeat his goal scoring records from the past. It's been a long and succesful career the one Cristiano Ronaldo has had so far. He's a true competitor by nature, with a tremendous work ethic and an immense concern for staying healthy. He's second to none in any of those aspects, just like he has been second to none on the pitch in his peak years. He's also a true example in terms of overcoming advertisities, may that be related with personal life issues, or physical problems and injuries. Now, and just six months away from turning 32, Ronaldo has another chance to prove the world he's still strong enough to recover and return to his old level after such a complicated injury like the one he suffered last July 10 during the 2016 European Championship final between France and Portugal. That's the fiber from which true champions are made of. Roughly 2 months after picking up that knee injury following a clash with Dimitri Payet, Ronaldo will make his return at the Santiago Bernabéu, in a league game between Real Madrid and Osasuna. The recovery process already forced him to miss the UEFA SuperCup final against Sevilla on August 9, as well as the first 2 league games against Real Sociedad and Celta de Vigo. Nevertheless and if he proves to be fully fit and not playing with any limitations, there are plenty of reasons to believe in Ronaldo. We firmly believe CR7 can still deliver his best football throughout this season and if not, at least get very near to the goal scoring records he has set in previous years. Since he arrived to Madrid back in 2009 and after completing 7 full seasons for the club, only once the Portuguese start finished a season below the 50-goal mark. That happened precisely in his first year in Spain and it's easily explained by the fact that he missed almost half of that season because of injury problems (he only played in 33 games for the Merengues in 2009-10). After that, he went on to score 53 goals in 2010-11, 60 in the year after, 55 in 2012-13, 51 in the year of La Décima, 61 in 2014-15 and 51 last season. Quite an impressive record, right? Cristiano Ronaldo next game for Real Madrid is for La Liga on September 10 of 2016, against Osasuna. You can watch Juventus live stream, Real Madrid vs Osasuna, Barcelona vs Alavés, Manchester United vs Manchester City, Arsenal vs Southampton, and Liverpool vs Leicester City, all matches provided from our sports stream live game pages.